"Jingle bells! Jingle bells! Time to paint my nails!" You guys know the song. Anyway, the holidays are here and nothing adds more "sparkle" to an outfit than having the right nail color to complement it. 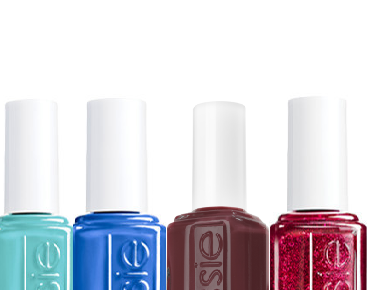 From "glittery reds" to "winter-y blues" here is your list of the best holiday nails from Essie. "Bordeaux: A Deep Red Wine"
A great color to compliment golds, "Bordeaux" is a rich and beautiful addition to any nail enthusiasts collection. 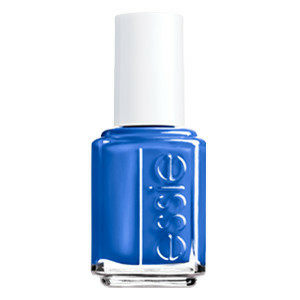 "Butler Please: An Indulgent Bright Blue"
This color has an heir of sophistication. Anyone wearing it instantly feels like royalty. "Oh Charles please do fetch me my designer luggage?" "Leading Lady: A Supreme Deep Red with Glitter"
Lights, camera, action! Any fashionista to wears this is instantly ready for her closeup. Just in time for the holidays, "Leading Lady" gives that warm and cozy feeling of snuggling up on the couch by the Christmas tree with cup of hot chocolate. "Where's My Chauffeur: An Opulent Turquoise"
A cute winter color, "Where's My Chauffeur" picks up all the undertones of winter.